While Islam recognizes pluralism, it also states that it is but one singular religion. However, many modernists insist on the pluralization of Islam and often classify Islam based on geography or sect. Because of this, they conclude that there are secular, liberal, socialist, and many other versions of Islam. This leaves many confused as to which version of Islam Muslims should apply and which type of Islam Muslims should identify and propagate. 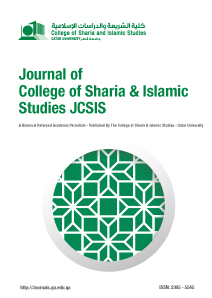 This paper was written as a refutation of Dr Hassan Hanafi’s Marxist interpretation of the Quran. 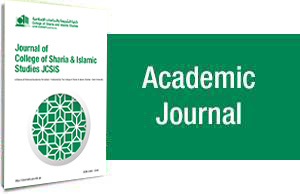 Dr Hanafi transgressed all scientific and objective methodologies in his research, as he alleged to have embodied the intellectual and reformist thought of Rashid Rida, Sayyid Qutub and Mustafa Al-Sibai. • Abu Zayd, Nasr Hamid, Naqd Al-Khitab Al-Dini, (In Arabic), (Cairo, Sina li Al-Nashr, 1994) 2nd ed..
• Al-Qarafi, Shihabuddin, Al-Qarafi, (In Arabic), (Saudi Arabia, Wizarat Al-Shun Al-Islamiyyah wa Al-_ Awqaf wa Al-Irshad, 2010). • Al-Qurashi. Fahad, Manhaj Hasan Hanafi- Dirasat Tahliliyah, (In Arabic), (Riyadh, 1434 A.H), 1st ed..
• Al-Tawil, Muhammad, Khasais Al-Mathab Al-Maliki, (In Arabic), (Fez, 2014), 1st ed..
• Al-Wallati, Muhammad, Isal Al-Salik fi Usul Mathhab Malik, (In Arabic), (Lebanon, Al-Kutub Al-Asriyyah, 2012), 1st ed..
• Ammara, Muhammad, Tafsir Al-Markisi li Al-Islam, (In Arabic), (Cairo, Dar al-Shuruq, 2002), 2nd ed..
• Hanafi, Hasan, Al-Din wa Al-Tahrir Al-Thaqafi, (In Arabic), (Cairo, Dar Al-Shuruq, 1996). • Hanafi, Hasan, Al-Wahi wa Al-Waqi – Tahlil Al-Madmun, (In Arabic), (Syria: Markaz Al-Naqid Al- Thaqafi 2010), 1st ed..
• Hume, David, A Study in the Human Genome, translated by Dr. Yousef Wahba, (Beirut: Dar Al-Farabi,2008). • Ibn Taymiyyah, Ahmed, Majmu’ Al-Fatawa, (In Arabic), (Madinah: Majma Al-Malik Fahad, 1995), 1st ed..
• Tafazani, Sadaddin, Sharh Al-Aqaid Al-Nasafiyyah, (In Arabic), (Malilah, Algeria, Dar Al-Huda, 2000).